While Bryan Singer already has plenty of X-Men for his X-Men movie—including bringing the First Class ensemble together with just about everybody from the original trilogy, with the notable exception of Halle Berry—you can never have too many X-Men, particularly when one of them can be played by Peter Dinklage. Singer welcomed the Game Of Thrones MVP to the cast last night via tweet, with Deadline then confirming Dinklage will play an as-yet-unnamed “key role” in the upcoming Days Of Future Past. Of course, those familiar with the comics immediately began speculating that he’ll play Puck from the Alpha Flight team, Canada’s exceedingly polite answer to The Avengers. Others have joked that Dinklage is obviously playing Colossus, because Peter Dinklage is small and that is hilarious. 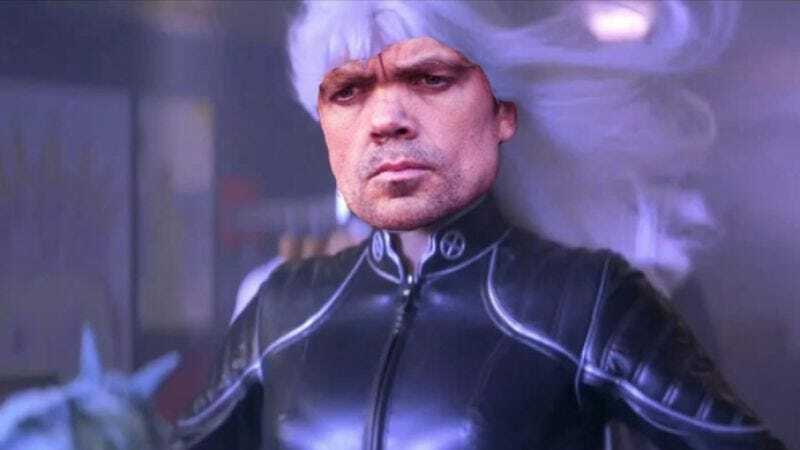 Honestly, we’d love to see Dinklage replace Halle Berry as Storm, preferably with no explanation. Dinklage could do it.